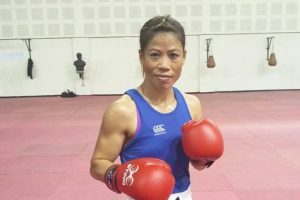 Continue reading "Boxers Mary Kom, Shiva, Sarita storm into semis of India Open"
Indias World No. 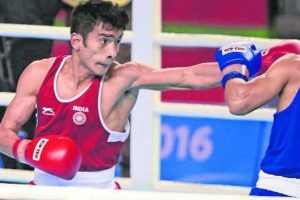 3 Shiva Thapa, Manish Kaushik, and Sarjubala led the country's charge into the next round of the India Open International Boxing tournament at the Thyagraj Indoor Stadium on Monday. 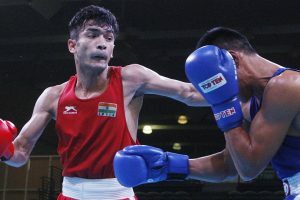 Shiva Thapa and Vikas Krishan will be among India's best bets at World Boxing Championships. The 23-year-old Thapa is currently preparing for the World Championships at a training trip in France. 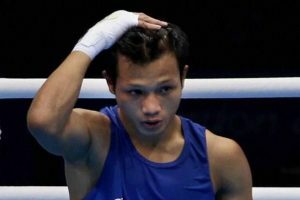 Thapa upset Olympic bronze medallist and top seed Dorjnyambuug Otgondalai of Mongolia 3-2. 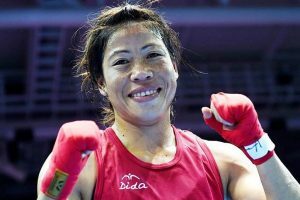 Shiva will face Chinese Taipei's Chu-En Lai in the quarterfinals on Wednesday. 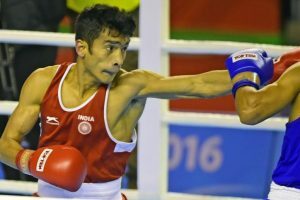 Continue reading "Shiva, Devendro storm into boxing nationals finals"
Devendro (52kg), Manoj (69kg) and Shiva (60kg) stormed into the semi-finals of their respective weight categories.